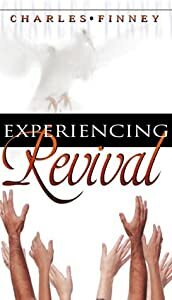 If we are going to learn how to pray for revival and spiritual awakening, then we need to understand what a true revival is. According to Charles Finney, one of America's great preachers of revival, "a revival is renewed conviction of sin and repentance, followed by an intense desire to live in obedience to God. It is giving up one's will to God in deep humility” (p. 11). Revival is for the church and not the world. When should we expect a revival? "Expect a revival when there are dissensions, jealousies, and evil rumors among believers. When there is a lack of brotherly love and Christian confidence among believers, then revival is needed. It is also needed when there is a worldly spirit in the church. The church has sunk into a low and backslidden state when you see Christians conform to the world in dress, parties, seeking worldly amusements, and reading filthy novels” (television) (p. 15). The Holy Spirit will not operate in a church which is in a backslidden state. If the church looks like the world, then it will not be used by the Holy Spirit to bring about revival. Without a revival (or a renewal), sinners will grow harder and harder despite preaching. America is in such a state that a revival is necessary for its very existence. If you read the headlines or listen to the nightly news, our nation is full of rapists, terrorists, adulterers, murderers, and many other problems. There is sin in the church and most people see nothing wrong with this. They excuse their sin because they don’t see it as sinful. They think that we are human and everyone sins. When the church looks like the world, then prayer for revival is needed. What is the spirit of prayer? In order to have a spiritual awakening in America, we need to have Christians with the spirit of prayer. This spirit of prayer is “a state of continual desire and anxiety for the salvation of sinners. It can even be something that weighs a person down. A Christian who has this spirit of prayer feels concerned for souls. They are always on his mind. He thinks of them by day and dreams of them by night” (p. 18). There is a remnant (small group) of prayer warriors in America who have this desire for prayer, but we can use many more. In order to have a spirit of prayer, we need to ask the Lord for it. We also need to make our prayers more kingdom focused rather than “me” focused. But even though many don’t have the spirit of prayer, it only takes a few people to pray for revival. If you would like to have compassion for the lost, then you can ask for the compassion. I used to have little concern for the lost and I felt convicted about this. I began to pray the following verse: “Seeing the people, He felt compassion for them, because they were distressed and dispirited like sheep without a shepherd” Matt 9:36 (NASB). Since I didn’t have compassion for the lost, I asked Jesus to give me His compassion for the lost. Today, ask the Lord to give you a spirit of prayer and compassion for the lost. Tomorrow, we will take a look at one of the best revival verses in the Bible, 2 Chronicles 7:14-15.